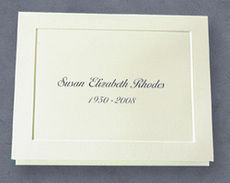 $52.00 As Low As $0.08 ea. 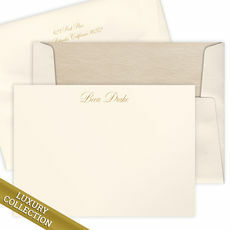 High quality set of foldover note cards with matching envelopes in white or ivory with embossed framing as shown. 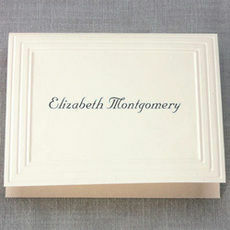 Size of note cards is 5" x 4". 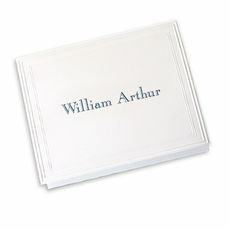 Printed in raised ink with your choice of personalization. Return address available. Typestyle only as shown.